Build a warrior don't break his spirit. 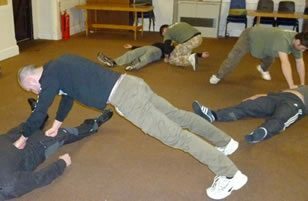 Systema training and classes in Exeter, Devon. The russian martial art system has something to offer everyone. Learning self defence is learning to understand yourself. Russian Systema training, helping you move forward one shoulder at a time. Our Systema classes challenge you to help achieve your true potential. Train, fight and prevail with the world's leading Russian Systema, military martial art masters. 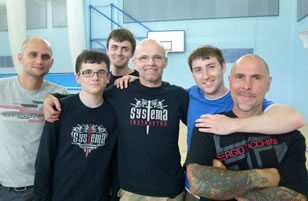 Learn Systema from the source with Systema South West. Practical self defence solutions using the russian system 'Systema'. To overcome an opponent you first need to overcome yourself! 'Combat Begins Within' - Systema South West. Want to know more about Russian Systema, our club Systema South West or our chief instructor Andy Seatherton? Want more info about Russian Systema Training, or our Russian Systema Classes at Systema South West in Exeter, Devon? 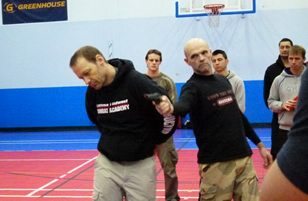 Have a burning question about Russian Systema, want to stop by to try out a Systema Class, or just want to get in touch with us? Systema South West is a Russian Systema club based in Exeter, Devon, offering Russian Martial Arts and Self Defence through our Systema training and classes. We operate Russian Systema Classes in Exeter, Devon, with our Systema South West members originating from Exeter and the surrounding areas of Newton Abbot, Exmouth, Torquay, Paignton and Brixham, to attend our Systema training, Self Defence and Russian Martial Art classes. Systema is a Russian Martial Art used extensively in the Russian military, made famous by the legendary Systema masters Colonel Mikhail Ryabko and Master Vladimir Vasiliev on YouTube, as well as for its use in the russian military Spetsnaz units. It is extremely practical, being built off of one’s own natural and instinctive movements and is therefore very fast to learn and apply as Self Defence. Our chief instructor of Systema South West is Andy Seatherton, who began his martial arts journey in 1972, in Exeter, Devon. Andy came up with Systema South West’s moto, “Combat Begins Within” based on the idea that we cannot fight an enemy if we cannot win the battle to beat our own limitations and hence COMBAT BEGINS WITHIN. We always welcome new members to our Russian Systema Classes, regardless of your current ability or limitations. Whether you are a complete beginner, or seasoned martial artist with a great wealth of martial arts experience, all we ask of you to attend our Systema training, is to bring a good attitude and that you are willing to learn something new and completely unique. Currently our Systema training and classes at Systema South West do not cater for children under 14 years old. Our aim is to bring this unique and practical Russian Martial Art System to the South West of England and expand Systema to a part of the country where it is relatively unknown. Systema is becoming popular very quickly, all over the world for its health, practicality and self defence benefits, as well as for being a highly adaptable, fast to learn and apply complete martial arts system. We welcome you to explore our website and to contact us, should you like any more information. We hope that we have raised your interest and look forward to seeing you at one of our Systema classes soon.